Monday, June 13 we’re supporting MensWork’s 2011 Dads’ Rally, 4:00-6:00 p.m. at Jefferson Square Park, Sixth and Jefferson. 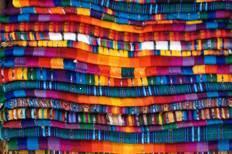 Wednesday, June 15, the Katie Geneva Cannon Lecture Planning Group meets, 12:30 p.m., in the Women’s Center. All members of the Seminary community interested in assisting with planning for this event are cordially invited and encouraged to attend. We’ll make sure there’s some light lunch available, as well. Rus Funk, MSW, founder and director of Menswork, Inc., leads this interactive seminar that will focus on the ways positive models of masculinity can contribute to the prevention of domestic violence, and introduces participants to the concept of gender respect, and examines the challenges and possibilities in cultivating gender respect with young men. The series of seminars “Mending the World: The Margaret Hopper Taylor Seminars Challenging Domestic Violence,” honors long-time activist and friend of the Women’s Center Margaret Hopper Taylor. It is made possible by a portion of a generous grant to the Women’s Center in honor of Margaret Hopper Taylor by the Rev. Arch Taylor. 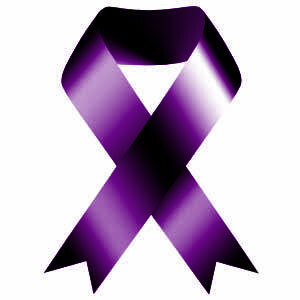 The purple ribbon project advocates an end to interpersonal violence. Love. Everyone — women, men, children — needs it. We don’t necessarily expect to experience it, in its various forms of acceptance and understanding, support and encouragement, affirmation and affection, “out there” “in the world” of school, work, or public life. In fact, we are often encouraged to think public life is supposed to be a realm of merciless competition, casual unconcern for the welfare of others, and predictable violence. We are encouraged to turn for love and care to “personal relationships” — where many of us experience its most devastating betrayals. Domestic violence is one of those. The controlling and demanding masculinities we cultivate in our entertainments, reward in our board rooms and recruit for our work and war rooms don’t stay “out” all the time. When they go home, they bring a pattern of violent and coercive behavior with them, into 28% or more of intimate relationships. October is Domestic Violence Awareness month. The Women’s Center has been receiving messages from colleagues involved in educating faith communities about the problems associated with domestic violence, and encouraging churches, synagogues and mosques to respond to it with the healing resources they uniquely possess. The Faith Trust Institute has links to resources, including a bulletin insert that can help call congregational attention to the problem. Presbyterians Against Domestic Violence have a downloadable congregational packet that includes educational and worship resources that can help a congregation raise awareness and energy for mobilizing against the domestic violence. Our friends at Menswork are observing the month by conducting a special free training on MW PGR Training FlyerPromoting Gender Respect, a program designed to engage men and boys in the prevention of bullying, sexual harrassment, sexual assault, and dating violence. The program recognizes the need to counteract those culturally prevalent messages that equate violence with “real” masculinity, and to energize a different, more positive script. The training takes place October 12, 9:00 a.m. – 3:30 p.m., at Family Scholar House, 403 Reg Smith Circle, Louisville. All these resources acknowledge something we already know, or ought to: domestic violence is far from an isolated personal problem. It is a problem for and with communal life, which plays itself out in intimate contexts. Its solution calls for communal action. 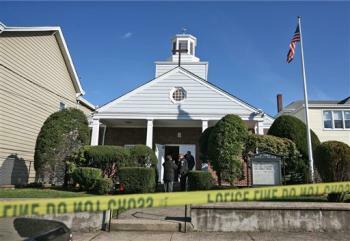 Yesterday, a woman died in a New Jersey church, apparently having sought sanctuary there. Her attacker killed two other members of the congregation in the attack, shot two other members of the congregation in the attack, one of whom later died, and one of whom is in critical condition. Sometimes, domestic violence shows up right in the narthex. Our thoughts and prayers are with this bereaved congregation. Let’s hope our ongoing actions and commitments will be, as well. Churches, pastors, would-be pastors, Christian educators, the entire Christian community, the Church, need to be concerned about domestic violence, and actively involved in the effort to end it, for lots of reasons. Because it is in the world in which we live, because it is a source of suffering, because it creates situations in which people need comfort and healing and confrontation and repentance and transformation, all the things God offers, and that can (we say, we hope) be encountered in the community that gathers around that offer. Because domestic violence is a gender issue, because it draws its energy from the messages in our world that men are supposed to dominate women, or at least some women, at least their women; and from the other messages, that glamorize and valorize violence in the cause of combatting evil and just doing what’s right (like, just making that woman do what she’s supposed to do). And because those are messages the church is in a position to challenge, with its Jesus-lessons of the great among you being servants rather than tyrants (Matt. 20:25) and not responding with violence (Matt. 5:44, e.g.). And because those are messages the church should challenge, though it hasn’t always lived up to that calling, and has even turned the good news it is called to preach to the captives into exhortations to return to abusive situations. But then there is the frankly practical reason, that all the ramifications of domestic violence affect churches and church members directly. Domestic violence comes to church. Our sanctuaries are not always, really, safe spaces, even when we have done all we can to make them that way. They certainly will not be when we have done less than that, because we thought, mistakenly, that domestic violence was one of those problems that would respect the magic threshold of the church. Rigid Gender Roles Don’t Help Men, Either! My preoccupation with the upcoming Katie Geneva Cannon Lecture and Consultation (Click for full details and access to online registration) has kept me from following up on Rus Funk’s remarkable Light + Lunch presentation and conversation this past Tuesday, March 11, in the Women’s Center until now. That’s unfortunate, because it might give the impression that the conversation Rus initiated on the issue of gender respect, its connection to violence – particularly violence perpetrated by men against women, and the pursuit of just and equitable gendered lives didn’t matter much to us. And that would definitely be the wrong impression! And we’re glad we did! Because the discussion of the issue of gender respect, and its connections to violence against women, was wide ranging, eye opening, and thought provoking. It was also at times conversation-stopping, as 14 or so of us sat around the Women’s Center trying to wrap our heads around statements like “we work a lot on knowledge and attitudes, and research shows that knowledge and attitudes don’t produce changes in behavior.” (This shouldn’t have come as any surprise to us had-a-hard-time-becoming ex-smokers, but for some reason it did.) Of course, there’s the corollary, that without changes in knowledge and attitudes, the changes in what people actually do won’t happen either. So, there’s just a LOT of work to be done to fix the problem of men’s violence against women. From Rus’s perspective, a lot of that work needs to be done by men. MENSWORK, a fledgling organization of which Rus is co-founder, is dedicated to the goal of making men the solution to the problem of men’s violence against women. Rus’s opening example drawn from work with youths – “How do you know when a girl likes you?” – was particuarly striking. Our culture makes it difficult for a boy or man to know how a girl or woman feels about him without transgressing one or more masculine taboos while simultaneously respecting the other person’s integrity and agency. I, for one, felt like I was getting a glimpse of a side of “the gender issue” that I myself have rarely, maybe never really, taken very seriously. That is, what do the conflicting and contradictory expectations and demands made on women and men, in all their partiality and injustice, do to men? I have paid a lot of lip service to the platitude that “sexism hurts men, too,” without thinking particularly concretely about what that “hurt” looks like, since I’ve focused (understandably enough, I think) on the damage done to women. Rus attached some stark specifics, in the form of debilitating codes of masculinity (like feeling like it’s uncool just to ask someone how they feel), attitudes that go hand in hand with violent behavior (like the pervasive code of entitlement, whereby “if I spend a lot of money on her (or fill in the blank), she should . . .”), and contradictory identities that stymie interpersonal growth (like being “a man who respects women” – which might imply listening and taking women’s opinions and preferences seriously – and being “a man who doesn’t let women tell him what to do” – which might require the opposite). Another point that came out in the course of the roughly hour-long conversation was the pervasive influence of male privilege. “Oppressed people know they’re oppressed; privileged people usually don’t know they’re privileged.” Privileged people do, however, notice the erosion of privilege that comes with changes in oppressive arrangements, and feel it as a real loss. The task is to be able to identify that loss as a loss of privilege (so, something that needs to be lost, even though it requires real, possibly uncomfortable, adjustment) rather than a loss of basic rights (which loss of privilege often feels like, to the privileged). After hearing from Rus on Tuesday, we’re looking forward even more to April 7, and the “Male Spirituality Inside and Outside the Box” forum which will be led by Rus Funk as well, and for which the Women’s Center is one of several sponsors. We have recently been updating our Events page. As of early this morning, the Events page reflects what we know of upcoming events, and also includes the traces of past events, through last year’s 2nd Annual Katie Geneva Cannon lecture. Please feel free to click on Events and take a look at what’s in store for Spring, 2008! We are looking forward to visits from Rev. Bob Gamble of This Child Here in February and Rev. Jane Spahr of That All May Freely Serve in April, and to the 3rd Annual Katie Geneva Cannon Lecture and Consultation in March — March 30-31, to be precise. This year’s Katie Geneva Cannon Lecture and Consultation promises to be a thought-provoking and memorable event. Dr. Stacey Floyd-Thomas, Associate Professor of Ethics and Director of Black Church Studies at Brite Divinity School, Texas Christian University, will deliver the 2008 Katie Geneva Cannon lecture, which will confont the question “‘Why, In This Land: Unmasking, Debunking, and Disentangling’ the Interlocking Forces of Oppressive Institutions and Social Sin.” Dr. Floyd-Thomas will also lead a workshop on Monday, “Hitting a Straight Lick with a Crooked Stick: A Workshop in Metaethics and Conflict Resolution,” which will reflect on Dr. Cannon’s notion of “hitting a straight lick with a crooked stick” as “the genius of womanist ethics to both describe, analyze, and construct liberative ethics that seek to dismantle the intelocking forces of social oppression.” The workshop will delve into womanist ethical methods, an area on which Dr. Floyd-Thomas has published a significant book, Mining the Motherlode: Methods in Womanist Ethics. Other events of the weekend will include worship with Dr. Teresa Snorton, Executive Director of the Association for Clinical Pastoral Education, on Monday morning in Caldwell Chapel, and reflection on “Gendered Dimensions of Contemporary Migrations” with Dr. Maura Toro-Morn, Professor of Sociology and Assistant Director of the Unit for International Linkages in the Office of International Studies at Illinois State University, on Monday night. Nor can we forget the Silent Auction, which is becoming a significant part of the festivities surrounding the Katie Geneva Cannon Lecture. The Women’s Center is now actively seeking donations of extraordinary works of art and artisanship, or other auction-worthy items, to make the Silent Auction an event not to be missed. Proceeds from the event will be used to support the Women’s Center and its programs. If you have items to donate to the Silent Auction, please contact us at our new extension, (502) 895-3411 ext. 285, or direct at (502) 894-2285, or by e-mail at womenscenter @ lpts.edu We look forward to hearing from you! As excited as we are about the Katie Geneva Cannon events, we have not forgotten that we will also be celebrating International Women’s Day on March 8, continuing our “Light+Lunch” series of lunch hour conversations, which will include a discussion of “gender respect” with Rus Funk of Menswork on March 11, and finally (we mean it) having an open house to welcome the Seminary community officially to the Women’s Center’s new space (WE LOVE IT!) in White Hall. We know this isn’t all that will be happening this coming Spring semester — but what will be happening will continue to be available on our Events page. We hope readers will continue to check it out, and make a note in their calendars to join us for some of the events of the Spring!